So does anyone have a comparison of the 8'10 vs the 9'1? Does the little bit narrower width and narrower tail have much impact? first... @ Tardy and Helmy, and everyone else who posts their thoughts on the Creek. Thanks for the input, It is really helpful to read everyone's experience with their Creeks, it is a huge resource when someone asks me for a size recommendation. More information, is good information cuz I always strive to get them on the right board. I think that a bigger Creek is usually the right call. Long reasoning, cuz all information is relative to individual rider. At my age, I find there is a point of diminishing returns when it comes to going smaller. Now that I am 70, I am experiencing more challenge in maintaining solid performance. I can stay smooth and carving. If I have "dead spots" on a wave... too small a board will lose speed and I tend to get "old man wobble"
On my 9'1, I don't surf nearly as well in most conditions. 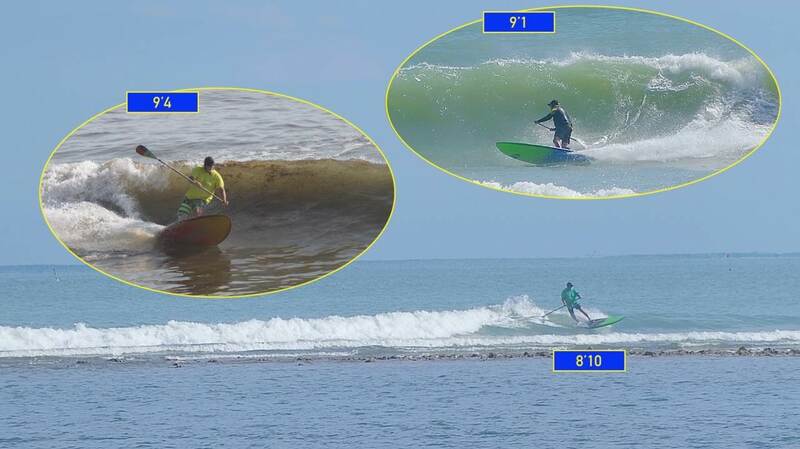 I am not convinced yet if it is size related... or volume related.... but I suspect it is size and "area on the water"
I can surf the 9'1 (1.28) easily, but it has "dead spots" that cause me to "old man wobble"
I can surf the 9'8 (1.4) very easily with smooth carve and solid speed carried through the turns. so I am very interested to see if the narrower board carries speed though "dead spots", simply because I am lighter. But I suspect that the width (area on the water) plays a bigger role in my performance. I actually find that my performance is MUCH better on my 9'4 x 32 than my smaller boards. Speed is power, and my 9'4 "floats" over the water with ease, carrying speed from one turn to the next. I was without my 9'4 for a few months and felt naked. My 9'4 was just as easy as it is in summer, so more evidence that support width over volume. AND.... I never feel 32" wide is slower or less capable on hollow waves.... it is my goto DOH wave board. It surfs so easily that a bit bigger adds to performance, not detract from it. Great insight as usual STC. 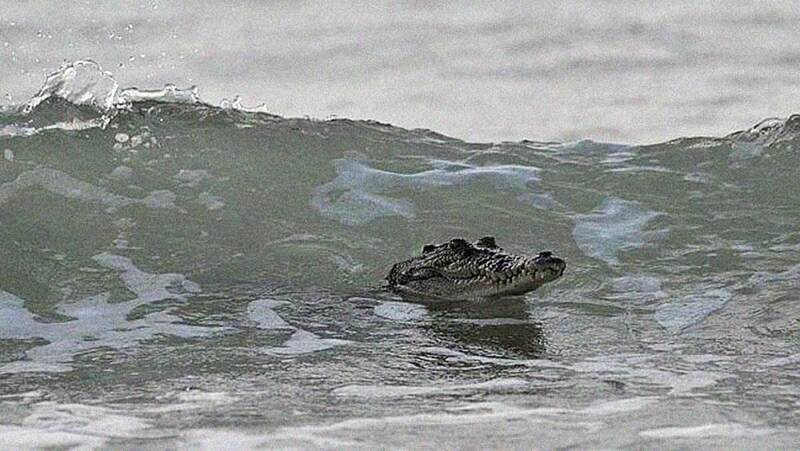 Im 98KG and have the 9'1 i dont find any dead spots on waves at all and infact find it works in all conditions OK. It does prefer faster steeper waves where the speed of the board is really noticeable. I was thinking of trying an 8'10 but there arent any demos available here. SO grabbed an 8'5 Surefire Degenerate, I think youll rip on the 9'1 when you get under 100KG. Thankyou for your informative reply! How would you compare the 8'10 speeed if you threw it into the mix? How does it compare to stability? Obviously the 9'1 creek will be more stable. Turning ability? Would it be something I can throw around as easy as my 9'1 creek? If I was to take it out on the glassy days but with smaller fatter swell. Do you think the speed with parallel rails will glide and get onto waves a bit easier/quicker? Surely it would be quicker on the wave being narrow comapred to the 9'1 creek. "Thank you for your informative reply! How would you compare the 8'10 speeed if you threw it into the mix? If I was to take it out on the glassy days but with smaller fatter swell. Do you think the speed with parallel rails will glide and get onto waves a bit easier/quicker? 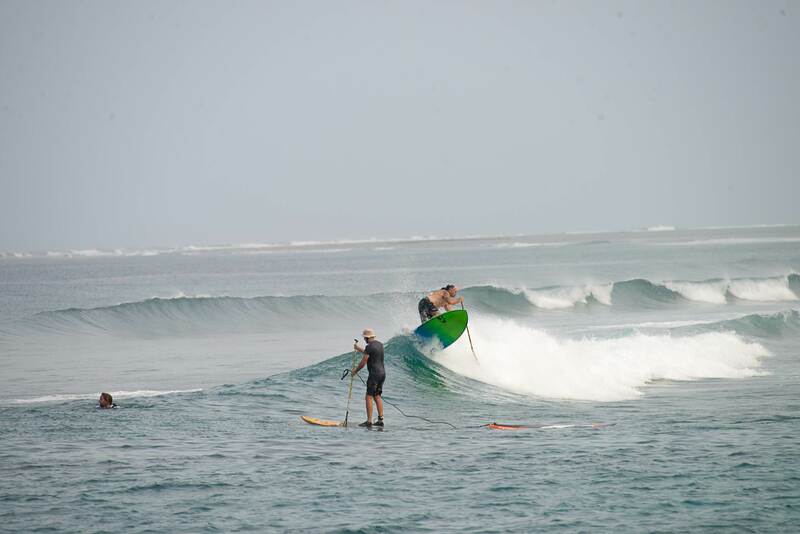 Surely it would be quicker on the wave being narrow comapred to the 9'1 creek"
It really depends on what type of surfing you prefer. The parallel rails of the Speeed are naturally fast, but I prefer the ability to make quick pumps down the line on a board with more rail curve like the Creeks and Acids.... IMO, narrow doesn't compare to quick pumps, for building speed. You said you only ride from the middle when are in "cruisy" mode, so you may prefer the 8'10 Speeed in low power waves. Both boards turn really well and I am sure you won't notice a lot of difference because they share the same tail. It is really up to you, some people prefer the Speeed, some prefer the Creek. 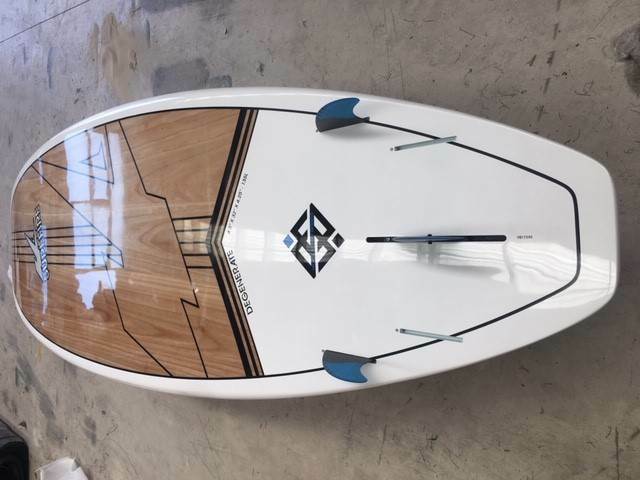 supthecreek thanks for this update legend great comparisons of the boards. however for my intermediate skill level its also very challenging and would agree with your comments one size up then what you think is great advice and probably the way to go...its great having a smaller board but the constant moving out the back for stability isn't fun after a while its hard work hahahahaha. i also think its the 31 wide and over 130 litre what makes for a easy ride . I ride a 125 litre acid @97 kg but since have ordered a 131 litre and 31 wide bigger board for relaxing days . Such a good thread - really diggin' the input from all. 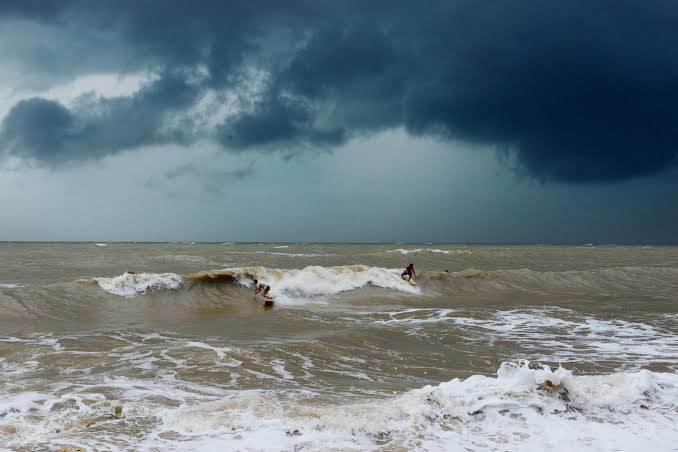 We're heading in to the monsoon season up here in Darwin and I'm keen to get a new board that'll handle the cyclone swells. So, I was thinking something short like an 8'6 JL Super Frank at around 140 litres that I can throw around - but now thinking maybe a 9'4 Creek (also around 140 litres - give or take) might be a better option for my 100 kegs. It will give me stability and still get that shortboard response. I dunno. Or a Smik Spitfire. Struth! Nice problem to have though eh! 9.1 for a young fella like you . that croc would make good shoes. Ha! Good on ya Tards'! 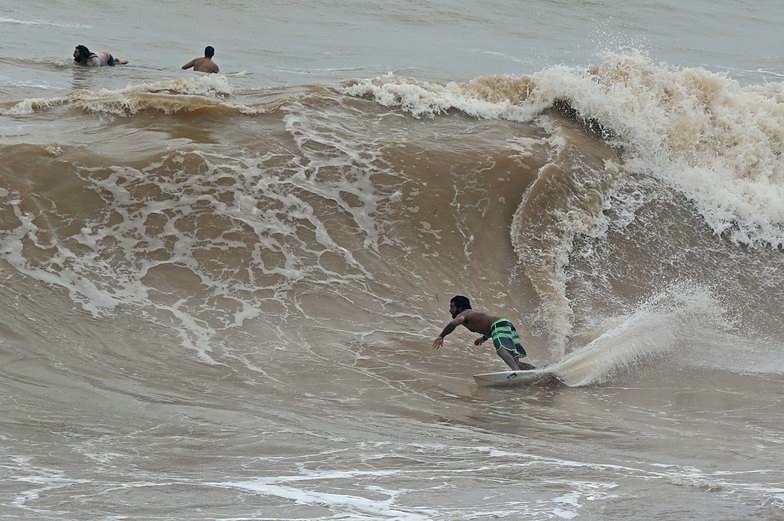 I was thinking about the 9'1 but then I read Creekmeister''s sage advice and think the 9'4 step-up might be the way to go. 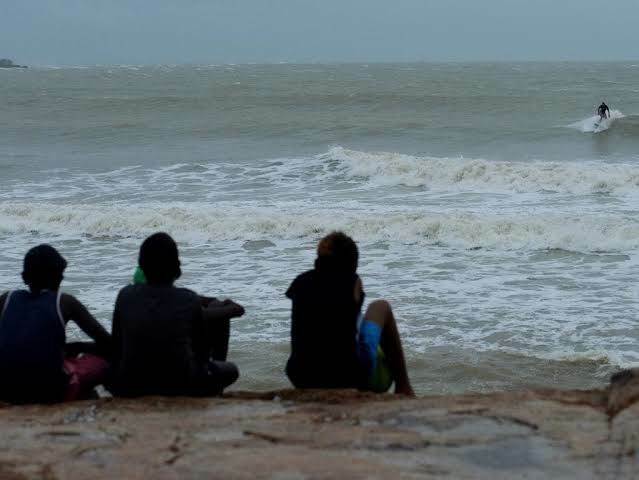 As you know, we almost never get good quality, long period ground swells making it in to Darwin. It's (nearly) always the onshore, wind-blown burgers (as per the above pics), so maybe the 9'4 could be the preferred option with good stability and still get some turns in. It surfs so easily that a bit bigger adds to performance, not detract from it." I've been saving my hard-earned and now I'm about that |--| close to ordering the new stick. Cripes! It's nearly Friday and I reckon I'll find some divine (liquid) guidance tomorrow night. The Triple Crown starts next Monday at Haleiwa and the World Title's up for grabs - can Julian bring it home to OZ?!? 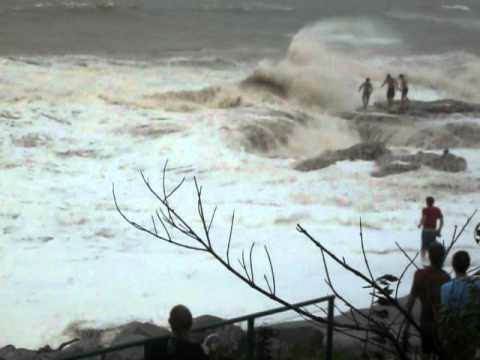 All these are surely good omens for a new Creek (and a cyclone swell to give the bugger a good run on!). Hhhmmmm ..136 litre is still a good size board as far as float goes ..for your weight . both would be good ...the 9.4 felt a little bigger in the nose ..for me ...but it really depends. What size you need as a step down from your other board ...I was happy with the 8.10 ..as the extra nose Rick put in the creeks made it so much easier to use ,and gave it a lot more stability than the other sunova range in it 125 litre range my 125 acid is way more rocky to ride .. ,it was a great idea . 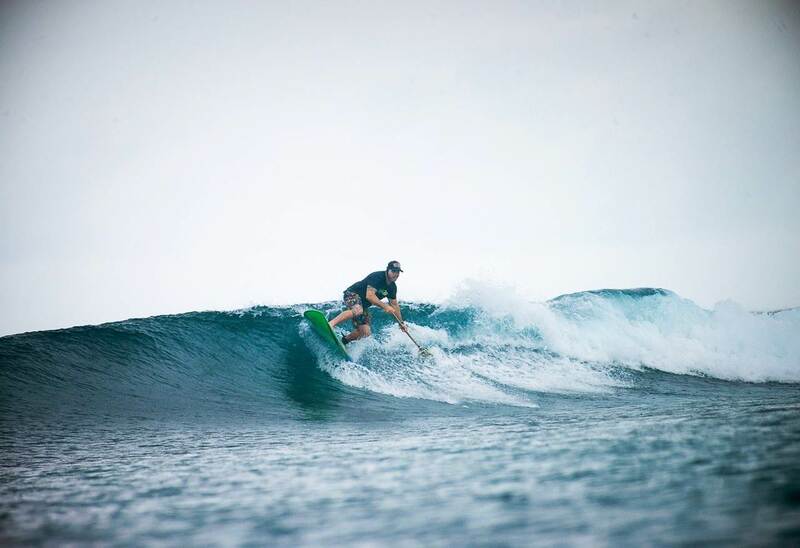 so you could take a steeper drop on the wave with the extra nose kick .I sure did take some beauties in the Maldives . And it hung in there . .i know I should of hit that lip . Hey man - yeah, definitely agree. I originally had the 9'1 in my sights as I reckon it would/should float me nicely. But then I was readin' Creek's comment about goin the next size up and made me think the 9'4 would be the better option. 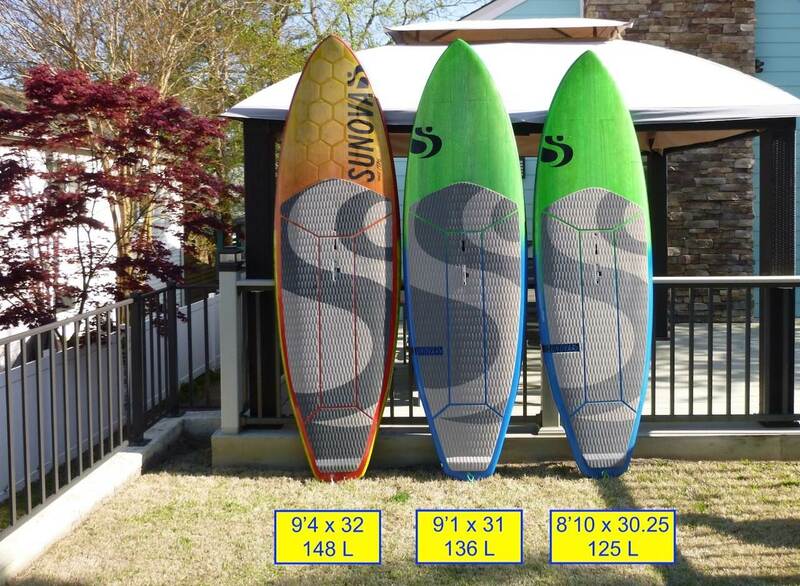 I definitely want my next board to be something I can throw around (was even lookin at the JL Super Frank) - and the 9'4 is not much shorter than my current log (10'6 Style). The Style is pretty massive but gets me into waves easy and I've enjoyed learning how to surf a 'longboard' style, more off the back foot and genuinely 'walkin the plank'. ive got probably another couple of pays and I'll be ordering the new stick - so I need to make a decision pretty soon! and yep - that black acid's gonna be siiick mate! How far off before we all get to hear how she goes!?!? That's a great photo brus!!!! yeah mate - I've always struggled with backhand snaps. Matty Wilko I ain't!!!! "and the 9'4 is not much shorter than my current log (10'6 Style). The Style is pretty massive...."
the 9'4 Creek is most definitely not at all similar in size. Not comparable in any way, two entirely different shapes and surfability. length is only a number..... so much more goes into performance. Agree STC ..thats what i told the wife...'length is only a number...so much more goes into performance !!! Yeah, definitely agree Creeky. They're chalk and cheese - one's a long, longboard and the other's a performance surf(SUP)board. Appreciate the point of clarity mate - you're right - you can get caught up in the numbers and completely miss the other, really important factors that go in to surfability. Cheers Ragga - good feedback mate. That's exactly what I was wondering - and what I want. Something I can throw around, is fast, and works in all conditions. I've also had a 9.4 Creek, and an 8.10 Speeed and a 9.2 Speeed. I reckon at 100kg and coming off a 10.6 Style you would absolutely love the 9.4 Creek. As Mr Creek says it will be chalk and cheese difference from your Style (ridden one of those too) and sounds to me like you are going to be beside yourself with the 9.4's performance and stability. I say go for the 9.4. I don't think you'll regret it. Tards that is a freakin' RAD photo man - that's more like it mate - shreddin' brus! Hey Tao - cheers man - value your input. I reckon all signs are pointing toward the 9'4 - it's sounding like the go to board. Cripes! I'm gettin' excited now at the thought- just gotta get me custom spray sorted and look out!!! The Mad Mango's gonna be chargin' !!!! almost to the rocks ,HERES another of the day . I'm around 95-98kegz and not a great surfer with infrequent sessions. 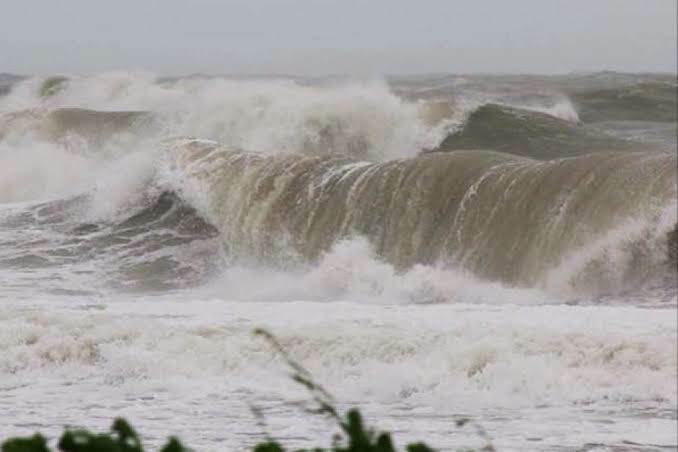 I have the 9"1 creek and it rips took a bit to learn the board but glad I didn't go bigger..
i have just bought a surefire degenerate 8"5 at 135 lt ... wow took it out for first surf in absolute shocking conditions this is a keeper. Super stable, plenty of speed and drive, turns on a dime and took some big late drops I normally wouldn't have survived!! Now have the perfect 2 board quiver .. 8"5 surefire and 9"1 creek anyone want a cheap 16 8"8 jp wide body ?? Cripes- you've just thrown another curve ball into the mix BomberDave... so the 9'1 Creek's a shredder eh mate? I'm liking the sound of the dim sims on the degenerate- 8'5 @ 135 lits. Any chance you can chuck some photos up of the Creek and the Degen' for us mate? They look like they'd go well in any conditions and stable. 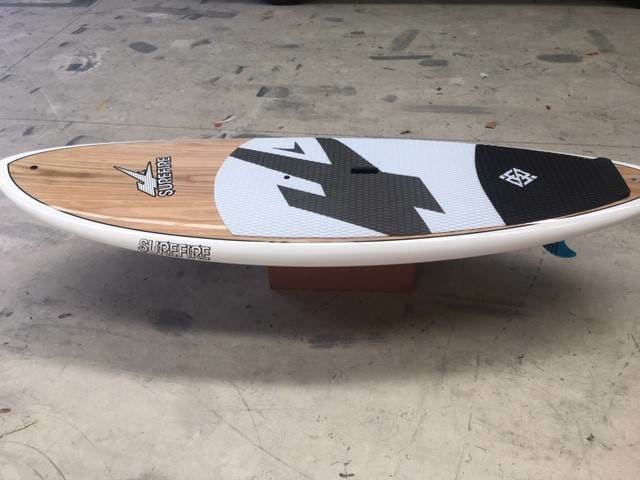 Thats what I'm after - shortboard manouverability with stability and volume. 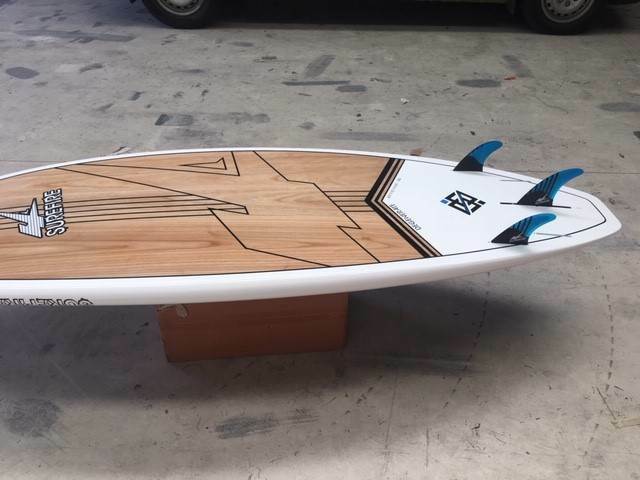 Top lookin' stick man - bet you'd be keen for some good waves to get it goin' in.